Office 2013 is the first release to use hardware acceleration throughout the user experience to deliver beautiful, fluid animations. 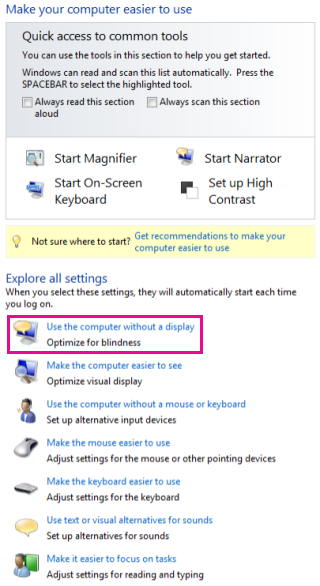 However, if you use your computer without a display or you simply prefer to eliminate unnecessary animations, you have the choice to turn them off. 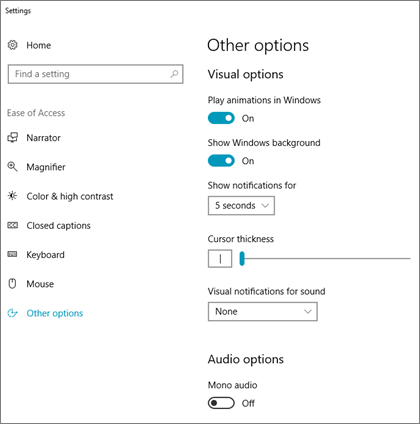 Open the Ease of Access Center by pressing the Windows logo key + U. 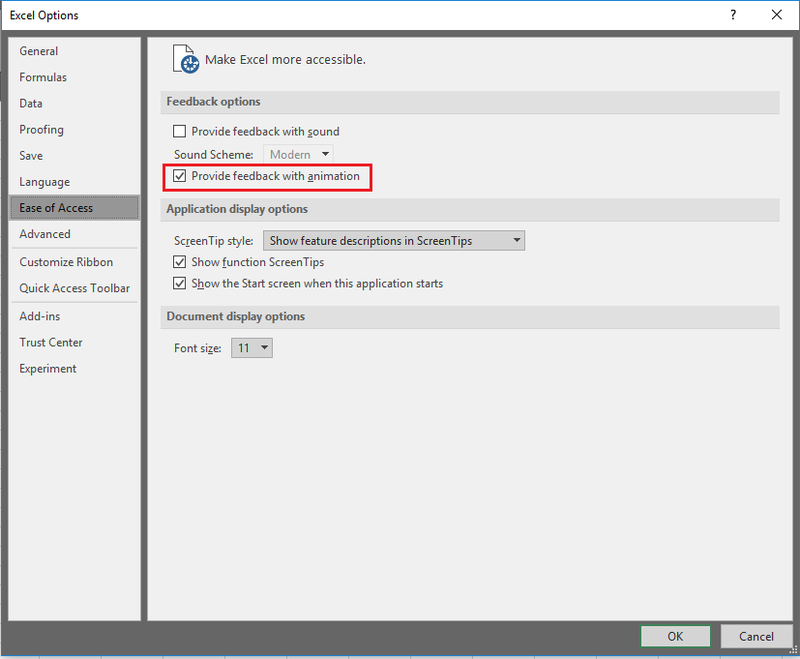 Under Advanced tab (For Excel 2016) or Ease of Access t﻿ab (For Office 365) un-check "Provide Feedback with animation"